With just a few days to go until the World Cup kicks off in Russia, it remains to be seen which brands are willing to play Russian Roulette and put themselves in the firing line. Here we look at five brands that have challenged the status quo and to give you an inkling which brands might be pitching in to win over fans at this year’s tournament. 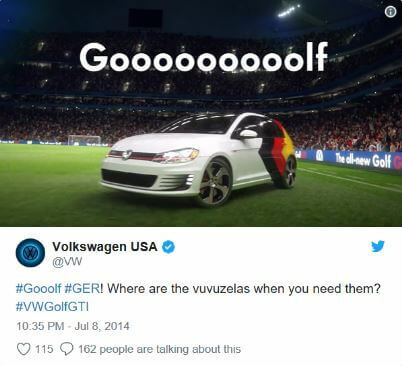 As Luis Suarez took a bite out of Italian, Giorgio Chiellini’s arm in the final round of group matches at the 2014 World Cup, one might expect that it would be a proverbial red card to pounce on the opportunity that this curated for brands to get their names into the spotlight. When done correctly, however, real-time marketing can be one of the most effective strategies going. 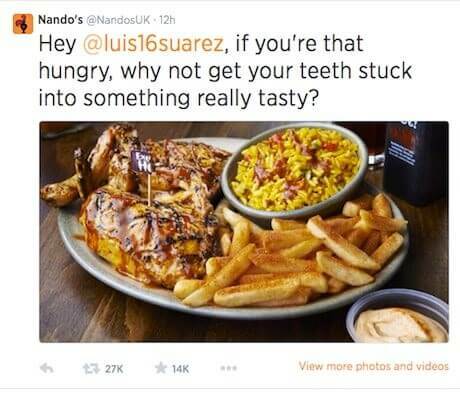 For brands such as Nando’s and McDonald’s, this certainly proved to be the case as they took to social media with cheeky tweets like the below. ‘No publicity is bad publicity’ – It’s no secret that betting giants Paddy Power have been more than willing to toe the line of controversy over the years, with more than a hint of Loftus-Tongue & Cheek in their repertoire. 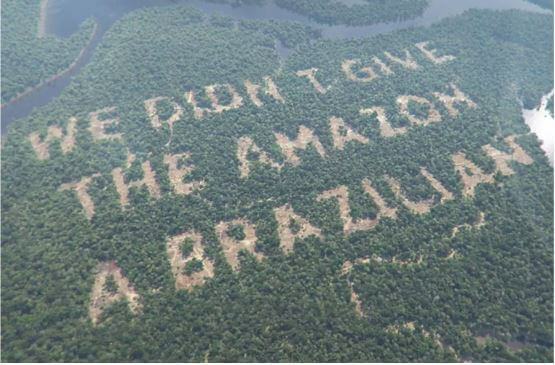 Originally some might have questioned the strategy they adopted at the World Cup in Brazil four years ago, appearing to carve through some of the already dwindling Brazilian Amazon Rainforest at the expense of an England ‘good luck message’. 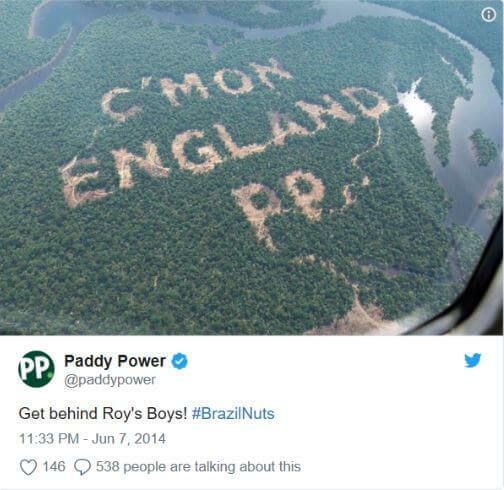 As social media users reacted in their masses with comments such as ‘most idiotic PR stunt ever’ and such though, Paddy Power then revealed that the images were, in fact, elaborate computer-generated fakes. Taking such a risk during one of the biggest sporting spectacles in the world, the World Cup is brave, but that’s exactly what Paddy Power did… and the reward was certainly worth it. Although Scotland didn’t feature in the 2010 World Cup in South Africa, one of their hallmark brands, Irn-Bru, were still keen to capitalise on the festival of football taking place over in South Africa. The result; the birth of an idea that many argued was supreme, yet controversial. Dubbed as the ‘Bruzil’ campaign, it floated the idea that if Scottish and Brazilian people were to breed together, the tartan army would have a World Cup winning squad at their disposal by 2034. The most questionable of all their ads surrounding the campaign featured a Brazilian woman taking a ‘Bruzil’ themed pregnancy test with the result flashing up ‘Ya Beauty’. Although the campaign appeared to ‘Bru’ up a storm with some, to most at least it seemed a roaring success! As the host nation and one of the biggest names in world football, Brazilians would have been shocked to find their team on the receiving end of a 5-0 deficit after just 29 minutes in the World Cup semi-final. As the Germans picked them apart to run out 7-1 eventual winners, however, despite it being a scene of absolute heartbreak for the host nation, German car giants Audi and Volkswagen did very little to steer clear. In fact, they engineered themselves some clever content over social media to seed out through the painful last hour of proceedings, that no doubt went down a treat with home fans. 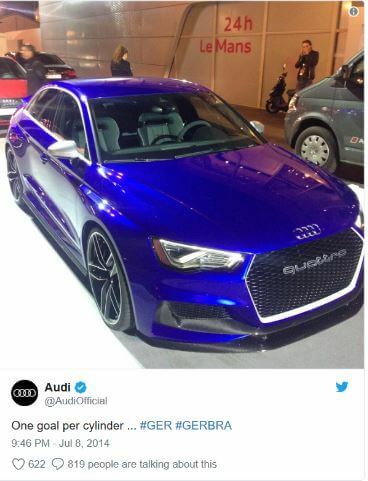 Both Audi and Volkswagen’s success were down to the fact that they were lightning quick off the mark. On this occasion that quick thinking certainly paid off. By 2010, Dutch beer brand Bavaria had made itself a name as the ambushing marketing experts with their back to back World Cup campaigns. But it was the 2010 campaign that made the headlines. During a World Cup game between Holland Vs Denmark, 36 female supporters were ejected from the stadium after taking part in a PR stunt which involved having to wear an orange mini-dress. The stunt was deemed to be taken attention away from Budweiser who was the official sponsor of the World Cup. The beer brand benefited from the publicity the stunt caused, the brand received a spike in traffic and was the fifth most visited beer website in the UK on the day after the game. We hope you enjoyed our choices, if you are interested in learning more about the importance of PR and how it can help you or your business please get in touch with a member of our team today.